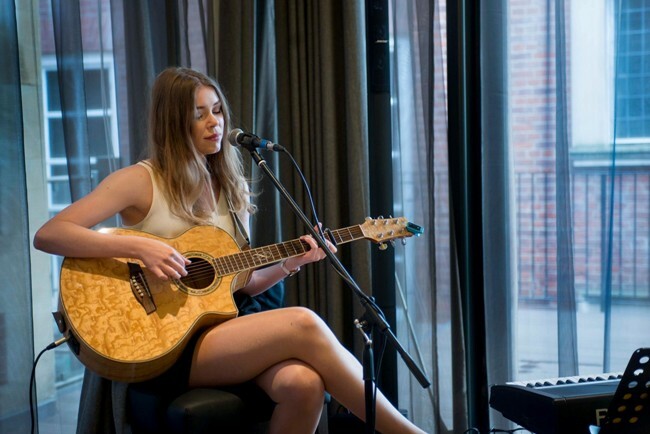 The Rise Restaurant Terrace & Bar, situated in York’s Grand Hotel & Spa, is set to host a talent competition for local musicians later this week. On Thursday, October 26, contestants will be able to showcase their talent to the public and esteemed judging panel in a bid to win a £1,000 prize package including performance slots at The Rise, a bar tab and a full day in a local recording studio, Melrose Yard Studios. York’s most talented acoustic singers and musicians are invited to sign up to take part in the competition by simply submitting a video or an audio clip to olivia.odudu@thegrandyork.co.uk or to direct message their entry to The Rise Restaurant Terrace & Bar’s Facebook Page. The public are invited to head to The Rise with friends and family for an evening of musical entertainment from York’s top talent. Whilst there, viewers can order from the small plate Yorkshire tapas-style menu or enjoy a delicious cocktail to accompany their evening. A panel of judges from Minster FM, Melrose Yard Studios, blogger Louise Rose Railton and the audience acting as the fourth judge will decide who will be crowned the winner. Doors will open at 6pm with the competition beginning at 7pm. Entry is free for contestants and viewers alike. Developer ensures building is a real “pearl”!